A skilled and practised word hunter, Ian Reid can flush out sources from behind stone walls. Thursday, he scooped the Legislature’s press gang and published Mea culpa, mea culpa, the release that Christy Clark was not allowed to issue. Visit The Real Story for the whole story. Premier Clark explained her revelation that no real people live in Victoria. Apparently, Christy didn’t mean that the entire city, its citizens and their sick culture were unreal. Only parts. That’s kind of unfair. 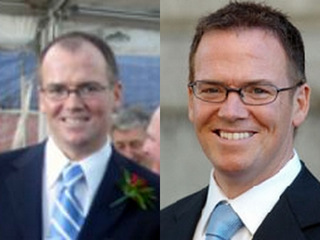 Right now, renewing and strengthening is a high priority of BC Liberals and Kevin Falcon’s hair is merely following its own scheme of renewal. These pictures show the success to date. On the left is the 2006 Falcon, on the right is the 2012 model. Apparently, Falcon’s hair is progressing satisfactorily through the levels but is some years from reaching the Thetan form of renewal enjoyed by the hair of octogenarian Ralph Sultan, a long time backbencher elevated to Cabinet in the Liberal Party’s latest round of youthful regeneration and renewal. 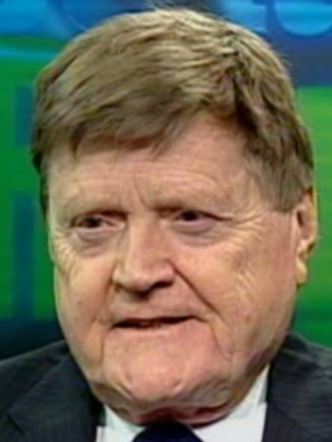 Ralph Sultan has the worst toupee I have ever seen. And I've seen some bad ones in my time! Sultan was previously judged less capable of serving in cabinet than luminaries such as Kevin Krueger, Kash Heedless, Linda Reid and the inimitable Harry Bloy. Are you all so out of touch? The Hair Club is now backing the Liberals. The Falconator's hair is definitely change that you can believe in! My understanding is that Sultan had to be kept out of Cabinet so long because his I.Q. (not feral cunning, ala Gordo) is higher than the sum total of the rest of the caucus, especially with such luminaries as Foghorn Kreuger, Josef's spurned love interest Mary Polak and Harry Bloy, whose negative I.Q. scores subtracted from the two digit scores of the bulk of fence posts with hair (real, transplanted and artificial)!